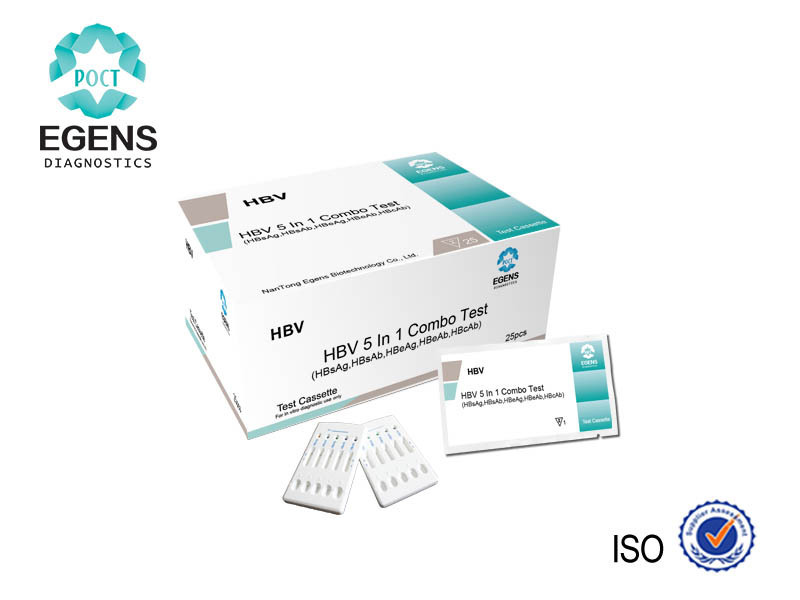 HBV two pairs of semi-test card detect five indicators of hepatitis B in serum/plasma using colloidal gold immunochromatography: HBsAg, HBsAb, HBeAg, HBeAb, HBcAb. Applying monoclonal antibody technique, gene recombination technique and immunochromatographic technology, monoclonal antibody HbsAb, gene recombinant antigen HBsAg, monoclonal antibody HBeAb, gene recombinant antigen HBeAg and gene recombinant antigen HbcAg are labeled with aurosol and coated on nitrocellulose membrane, significantly reducing non-specific reactions. 1. It has a high sensitivity and specificity, and results can be read in 15 min. 2. The color of test strips is associated with hepatitis B indicators. 3. 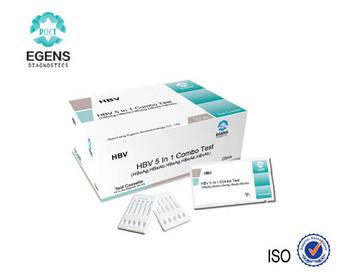 One-step method is applied to detect five indicators (HBsAg, HBsAb, HBeAg, HBeAb, HBcAb) of hepatitis B simultaneously. 4. It is stored at room temperature, easy to carry and valid for 18 months.